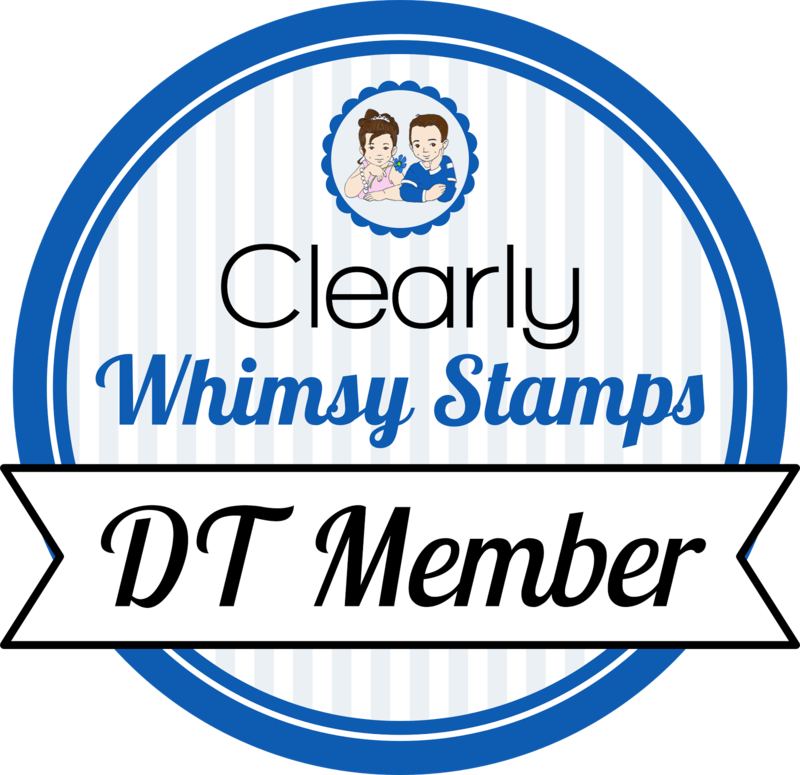 Welcome to the Whimsy January digi release blog hop!!!! We have Lots of new images to share with you today created by Crissy Armstrong, and Meljen's Designs collection.Each file is JPG at 300dpi for high print quality.You can Resize, flip, or rotate to fit your own project. The Grand Prize winner of the hop chosen from the very last stop, which is Dawn’s blog will receive 5 new digital stamps of their choice from Whimsy, and will also get a chance to use those new digital images as a guest designer for Whimsy for the entire month of January. below is a list of the hop rotation just in case you get lost along the way, happy hopping!! Hi Debbie, what a great card!! What a gorgeous card! Who would have thought that DP could go so well with a dog digi?! WOW Debbie, this is amazing!!! You cut out the dogs mouth and put it on pop dots, don't you?! Well at least it looks 3-dimensional ... wonderful!!! Beautiful card Debbie,I love the image and the colours. Gorgeous card - perfect for any dog lover!! I particularly love the little charm!! Gorgeous card Debbie...love this image and you've done a grand job with it! 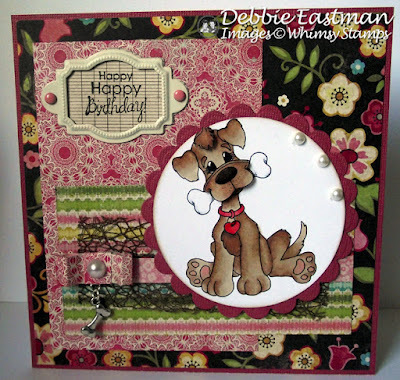 Aww this is AWESOME Debs, LOVE the decoupage you added, really makes the image pop. Gorgeous papers too, will keep my eye open for those. Adore the little details you added. OOOOOO Debbie I LOVE LOVE these colors!!! What a super SWEET card girly!!! Gorgeous card Debbie! I love the beautiful papers you used. Oh so gorgeous Debbie! I am loving all the sweet layers of dp and then how you have the dog just pop out against the white background. That was a clever way to bring attention to the main subject. Gorgeous little pearls and charm too! Oh what a gorgeous card Debbie, such a beautiful dog image and details. I just love love love its layering coloring and every inch of ur card. Wow! Debbie, this is absolutely beautiful! Love the color palette and the added elements! Fabulous card! So cute! One of my favorites on the blog hop! Like the elements you added. Great way to showcase the dog! Gorgeous card! Love the DP you use and great colors, and also the charm is so cute. Awww, this is so cute!! Love your choice of papers and how you popped up part of the puppy! Looks amazing! Can you tell I hate Having my Photo taken!!!!! All cards and items on this blog are for your inspiration! Copy them, make them to sell (providing suppliers copyright is adhered to), but please do not make them for entry into competitions, magazines, design teams or books. Other than that, enjoy!